Dental implants, or teeth implants, are artificial tooth roots made of medical-grade titanium that support teeth restorations. Implant dentistry involves placing the replacement root into the jaw. The new root fuses with the living bone, and begins to stimulate the jaw and keep it healthy. Replace one or more teeth with dental crowns, bridges, or dentures–the choice is yours! Not everyone is a viable candidate for teeth implants, but many of our patients have great success with implant-supported restorations. To find out if you qualify for implant dentistry, give our office in Waco a call today! Teeth implants that are considered “traditional” or “root-form” implants are useful for people who are missing teeth and want a solution that doesn’t involve dentures or removable bridges. Dentures aren’t for everyone. They can slip or move when a person talks or chews food, and they usually require the patient to use gels or pastes to help hold them in place. Implant supported bridges and dentures are much more reliable, and will provide the patient with a worry-free experience. Whether you need to replace one tooth or an entire smile, dental implants may be the right choice for you. Come speak with Dr. Steven Cutbirth to learn more about our trusty teeth implants. It’s time to replace those uncomfortable dentures with seamless dental implants. When dentures are anchored by teeth implants, they are almost indistinguishable from natural teeth. When used to secure dentures, dental implants keep dentures from moving when you eat or speak. This is life changing! No more of your lower dentures “rising up” and making it embarrassing to eat and speak! Teeth implants are a need and not a want! Implant secured dentures snap into place like a snap on your shirt. No one will ever be able to tell that you have dentures when secured with implants. We are proud to provide implant supported dentures in Waco, Texas. 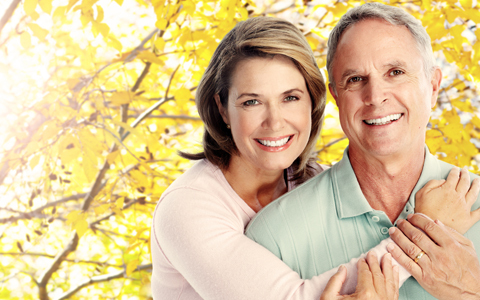 To learn more about this service, please see our denture implants page. There are several important steps in the implant dentistry process. You will need accurate diagnosis, implant placement, and a restoration procedure. Many dentists are unqualified to complete every step of the process, and they send patients away to other offices and dentists for implant dentistry. Of course, we offer safe dental sedation to ensure your comfort during the placement of your teeth implants. Dr. Cutbirth and his staff are passionate about providing dental excellence and extreme comfort to all of their patients. Contact our implant dentistry in Waco today.